Physical Impairment: impairment is the inability to do things, like reaching, lifting, or walking. Disfigurement: particularly applicable in cases where there have been burns, scars or surgery, disfigurement is some sort of lasting or permanent physical sign of injury. Loss of Consortium: in Maryland, loss of consortium is the loss of society, affection, assistance and conjugal fellowship (sexual relations). If an injury impacts a marital relationship, that can be loss of consortium. Non-economic damages are tough to calculate because they are subjective–the value of each item in this list depends on who is assigning the value. The person who is calculating the value changes over the life of the case–it might include the victim, the insurance adjuster, the defense lawyer, the victim’s attorney and, most importantly, the judge or jury. 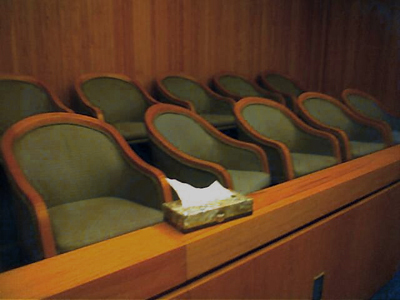 When the case is decided by a jury, each of the (usually) six people must agree on the value. Unlike economic damages, the total recoverable non-economic damages is limited by a Maryland damage cap. The cap depends on two things: (1) the date of the negligence; and (2) whether the claim includes an action for wrongful death. Though we’re talking specifically about automobile accident settlements and verdicts, it’s important to note that medical malpractice cases have a different non-economic damages cap in Maryland. In general, non-wrongful death cases where the negligence occurred after October 1, 2013 (and before October 1, 2014) have a non-economic damages cap of $785,000.00.